Despite being the home of Toyota and Honda, Japan is not a land known for its generous speed limits. As a matter of fact, I am hard-pressed to think of any posted speed limit in excess of 80km/h, and that is on the expressway! So what keeps lead-footed drivers in check in Japan? Is it Japan's legendary adherence to societal rules? Or perhaps it's the iron fist of The Law? The answer, as it turns out, is much more of the latter. Take a quick trip down any highway and you are bound to come across a set of jido sokudo ihan torishimari sochi (自動速度違反取締装置, literally "automated speed violation control devices"), better know as "speed violations cameras." 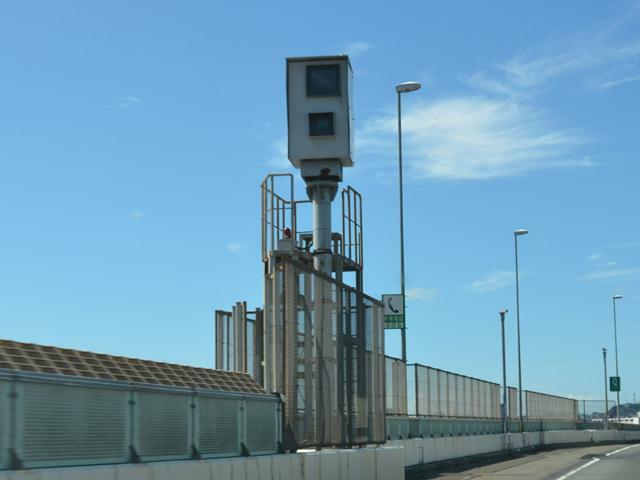 Where to Find Speed Cameras? 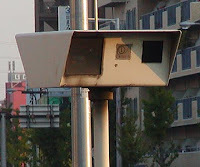 The most common place to run across a speed camera are on expressways (kosoku doro 高速道路). 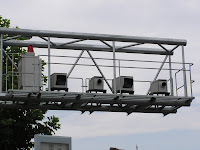 Expressway cameras are commonly known as oobisu (オービス), which is Latin for "eye" and the brand name of the first speed cameras made my defense giant Boeing, Co. The number and placement of cameras depends on the policies of the prefectural police and the highway operator. I have personally driven on roads that have long stretches of no cameras as well roads that seem to have a camera set up every few kilometers. Anecdotally, I have heard that Osaka and Tokyo are the most proactive prefectures when it comes to setting up automated speed traps. However, speed sensing equipment isn't limited to the big highways and byways. 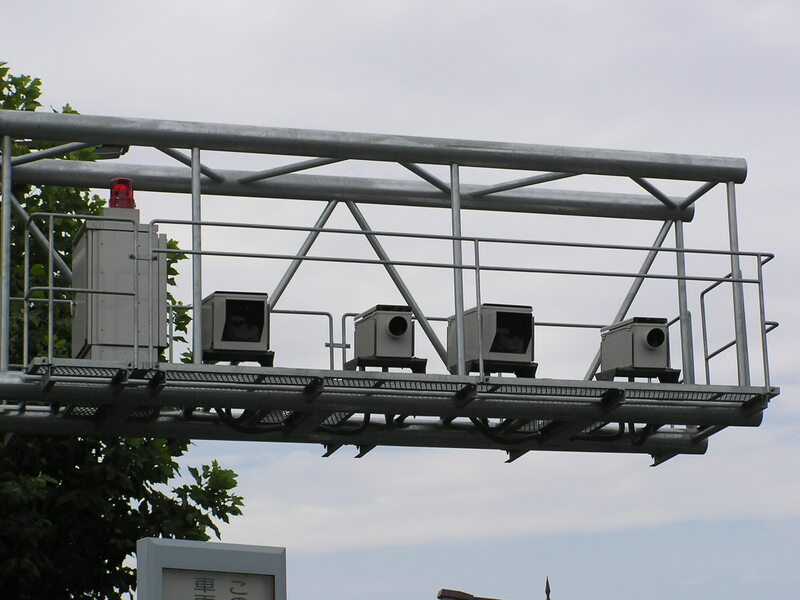 Many national roads (kokudo 国道, or roads that cross through one or more prefectures) also have speed-sensing devices. Even some local roads in areas like Tokyo are seeing an increase in speed sensors in the name of public safety. 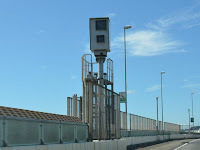 Luckily, speed cameras are not hard to find as the authorities are legally obligated to give you sufficient warning along stretches of road that are under surveillance. 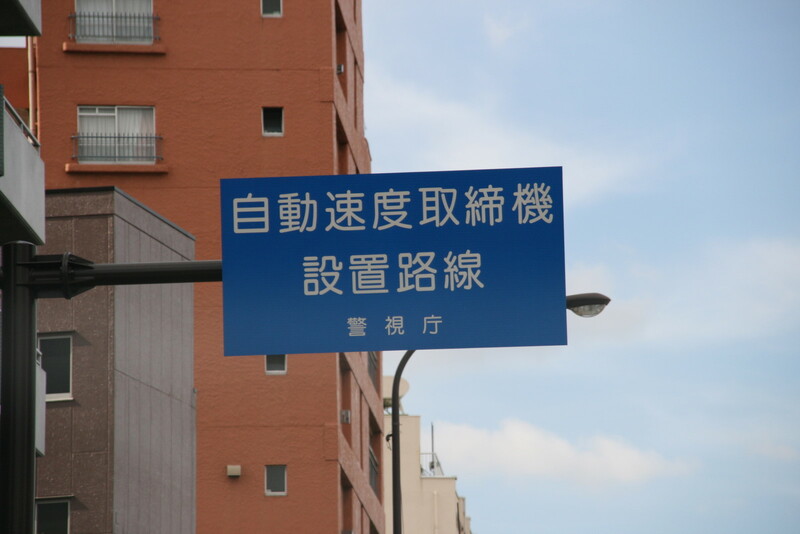 Usually these notifications take the form of blue on white signs (see left), although the color schemes, sizes and wording changes from prefecture to prefecture. In my own experience, there will usually be one or two signs before the actual speed trap hits, so it pays to keep you eyes open. Look for signs containing the characters 速度 and 取締 and there is a safe bet that you will be hitting a speed camera soon. And remember, these signs aren't always prominent. Usually they're relatively small and located around the left-most lane. Some navigation devices also sell optional software add-ons that give the location of known cameras. Radar detectors are sometimes effective counter measures as well, but it largely depends on the make of the speed sensor in question. Naturally, the police aren't too keen on spilling the beans on how sensitive speed detection devices are, but the popular opinion seems to be that speed detection devices are triggered at somewhere around 40km/h over the posted speed limit for toll expressways and 30km/h over the limit for regular roads. That being said, this is only an estimate and some cameras are likely more sensative than others. So if you are in an area that has a speed camera, don't get cocky and try to push the speed envelope. If you get caught by a speed camera on a regular road there is a good chance you will get a license suspension. These systems are the most conventional. They consist of two parts, a radar dish and high speed camera to snap license plate photos. They are usually found on highways, suspended on metal arches overhead. In some set ups, the radar dishes are seperated from the actual cameras, which are located further down the way. Many older models still use physical film so it is possible for the camera to run out of shots. Older types also use bright halogen flashes when triggered. The flash will still go off even if the camera is out of film. These systems are a bit trickier to stop as they don't actually use radar dishes to measure speed. Rather, electro-magnetic "loop coils" are build into the pavement to measure speed. The can be used with a standard radar type camera or with the H-System setup (see below). These cameras are the hardest to avoid since the only clue to their presence are tiny maintenance hatches on the road and the obligatorily speed observation warning signs. Drive with caution around these babies. H-System (h-shisutemu Hシステム)The H System takes its name from the Hanshin Expressway where it was first deployed. This represents the second generation of speed detection technology. The H System combines advanced radar with fully-digital, infrared cameras. Unlike older radar camera setups, these bad boys send data right to the local police. They also don't require high intensity flashes or physical film slides. Some newer models use specialized radar frequencies, meaning that you have to have a specially tuned radar detector in order to spot them. These are some of the trickiest to avoid, and if you get caught there is little chance that you will get off the hook. Small, inconspicuous, and easily setup, these photo electric speed sensors are a favorite of police setting up mobile speed traps. These sensors and reflectors are usually set up on either side of one lane and are rarely used as fixed speed violations systems like the above mentioned systems. If you do get caught by one of these guys, chances are an officer will pop out down the road and pull you over by waving a red flag. Odds have it that the police already have mobile check point set up, sometimes even with fold-out tables and ballpoint pens, where they can efficiently issue and process your ticket on the spot. These cameras are used together with the above mentioned photo electric sensors. Only instead of an officer flagging you down, the police will use photo electric sensors laid out on the road along with a specialized van or car with a hidden camera. Whether or not these cameras are digital or film type is unclear, but you will usually see a bright flash if you are caught speeding. 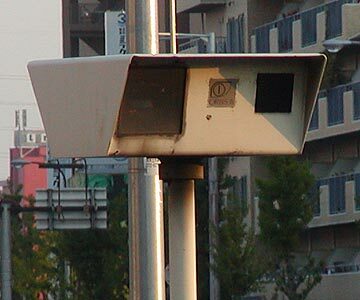 Unless you hit a photo electric sensor with a manned police detail, a ticket from a speed trap will probably be dispensed by the local prefectural police and arrive at your car's registered address by mail. In some cases, it can take months for a ticket to come (especially if it was taken by an old style radar camera), while others arrive in a few days. I have heard a few accounts from friends who have seen the flash of a speed camera only to have no violation notice sent. However, this is much more the exception than the rule, so don't get too excited. Violation notifications (technically called tsuchi-sho 通知書) require you to show up in person at the issuing police station. If you were caught in a different prefecture, you will have to call up the ticket issuing police agency and ask them to send the ticket to your local police authority. When stopping by the local cop shop, make sure to bring your license, vehicle inspection certificate (jidoshaken-sho 自動車検書), and personal seal. 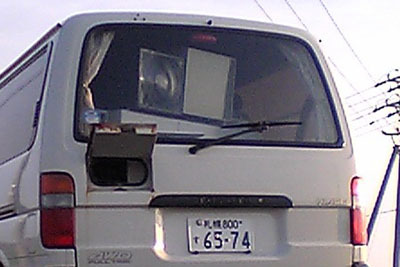 Have you gotten busted by a speed camera or had any other speed related shenanigans in Japan? If so, let us know in the comments. Here in the US, you're lucky if you can get away with 5 mph over. Yes, the cameras really only catch excessive speeders. In my area, the local bypass is marked as a 60 kph zone, but the cameras do not flash until 90 kph. On the expressways, usually marked 80 kph or understood to have a limit of 100 kph when unmarked, the cameras are often tuned to only catch cars traveling over 130 kph. The radar detectors mentioned in the article will often not only warn of upcoming cameras but will display, if known, the speed that camera has been tuned to. When I took practice lessons at a driving school, the instructor told me up-front that driving exactly at the speed limit is considered obnoxious by most other Japanese drivers and to generally aim for about 10 kph above the posted limit. But again, like Dan says, I'd recommend all drivers to play it safe; if you intend to speed, first watch how fast the cars around you are traveling. And if you are photographed or pulled over for traveling above the speed limit, even if it was just a few kph, you will get points on your license. Also, Osaka is the only place I've driven in Japan that seemed to have well-planned camera placement. 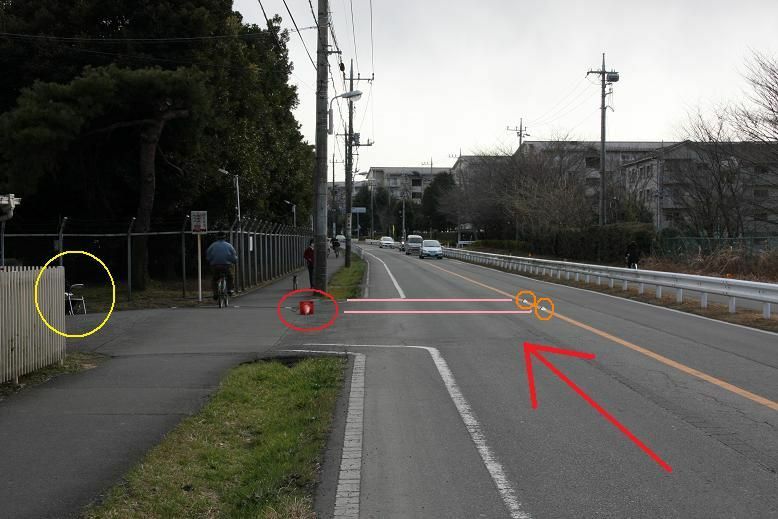 On many roads in Japan, you can see the camera fixtures coming up in the distance and have a nice 30 seconds to slow down before getting in their range. But in Osaka, the cameras were in sneaky places, tucked behind road signs and around sharp curves or set up to catch cars right after they exit a tunnel--which makes a lot more sense to me. LPs right on the ball with that comment. The idea is to catch particularly egregious speeders. If you are going fast enough to set off a camera then chances are you will be in for a hefty punishment. I personally have noticed a high density of cameras on the trans-Osaka Hanshin Expressway. Luckily (or unluckily I suppose), despite tricky placements, the road is usually crowded enough to make it all but impossible to trigger a camera. I use anti-radar system. It is pretty common to have one if you have fast car. This system can detect almost all types and also you can download gps points of know locations. Also my Japanese friends says that going 20 km/h faster is OK.
BTW there are also other types of cameras N-system - but they are for monitoring purposes for police to trace vehicles. Please help with any correct information because most people have no idea when it comes to overspeeding. I was headed towards Tokyo on the expressway at about 130-140kph and I did cross a few cameras but non of them flashed then later I was in the tunnels and I somehow managed to get my car to 170 kph and then suddenly I saw a red flash from the cameras above. I'm pretty sure it was my car since there were only other trucks and they know the limits. It's been two days and I've been searching the net like a crazy person but no one really knows anything.